With the Christmas tree up and having already finished Christmas shopping, I really thought it’d be feeling more like the holidays, but I guess because my parents have been out of the country for some time now there’s been this strange void my sisters and I have. My older sisters have already started their own families and live on their own, and I recently moved out of my parents and now live with Jun. Since all of us live cities away, we usually get together at my parent’s house during the holidays. Maybe it’s the absence that’s robbing me of the holidays. In response, I went to Riverside’s Festival of Lights to try and inject myself with some holiday cheer. I wore my new turtleneck sweater from Cotton On and surprisingly didn’t even need to wear a coat. I refuse to buy sweaters over $20 despite knowing they would probably serve better in the cold, but since Cotton On recently had 50% off all sweaters I snatched a few up for just under $20 each. 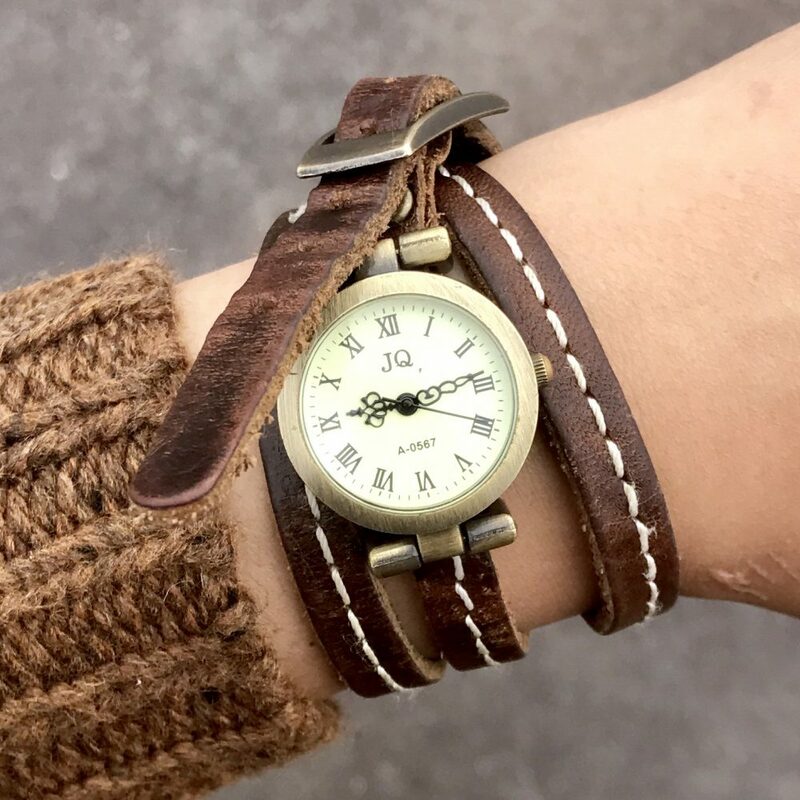 A few years ago I bought this watch for my mom on Etsy for $44.50, but she never wound up using it so it found a home in my wardrobe. The genuine leather adds a bit of a rustic touch, especially paired with this caramel-colored sweater.